Little Lost Cove Creek Falls is actually a set of falls, the Upper and Lower, located in a remote section of the Pisgah National Forest. 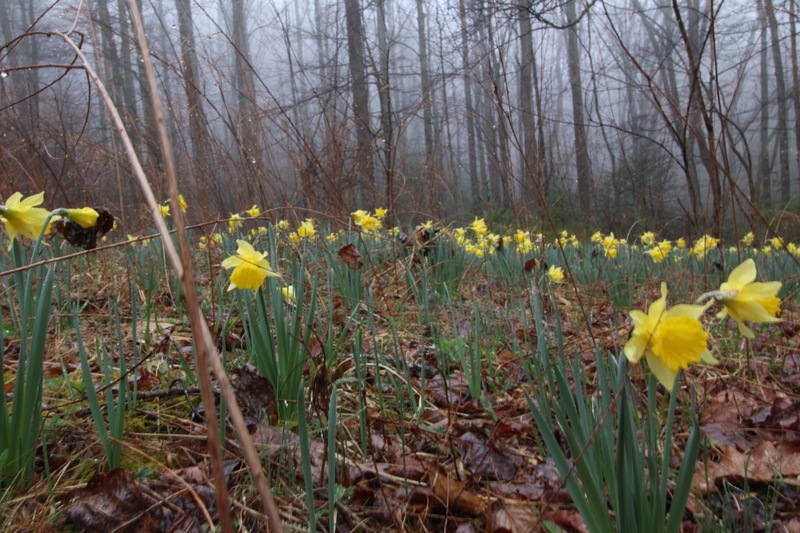 They are on one of the tributary streams to Lost Cove Creek, which is a tributary stream of the much bigger Wilson Creek. 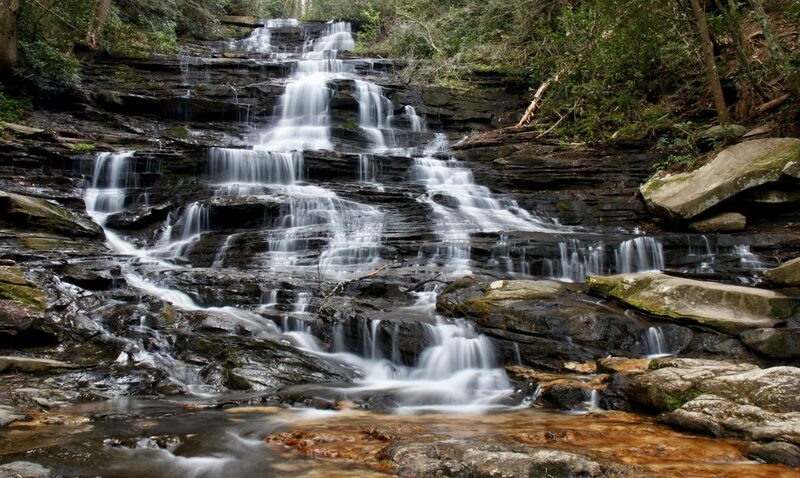 They are generally mentioned in the group of waterfalls located in “Wilson Creek”. 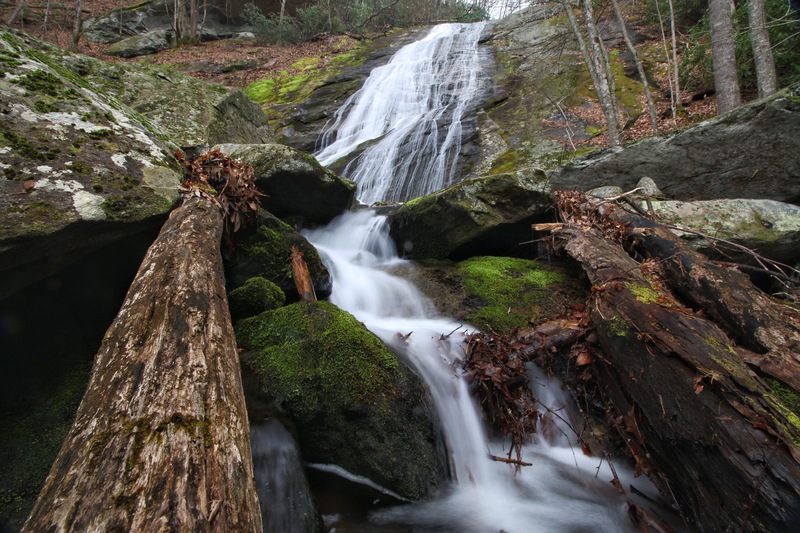 This loose term refers to a number of waterfalls scattered along feeder streams to Wilson Creek that are just south of Grandfather Mountain and on the opposite side of the ridge just east of the Linville Gorge. It’s really a fascinating area in whole, that is dominated by tight, twisty dirt roads that require slow and careful navigation. 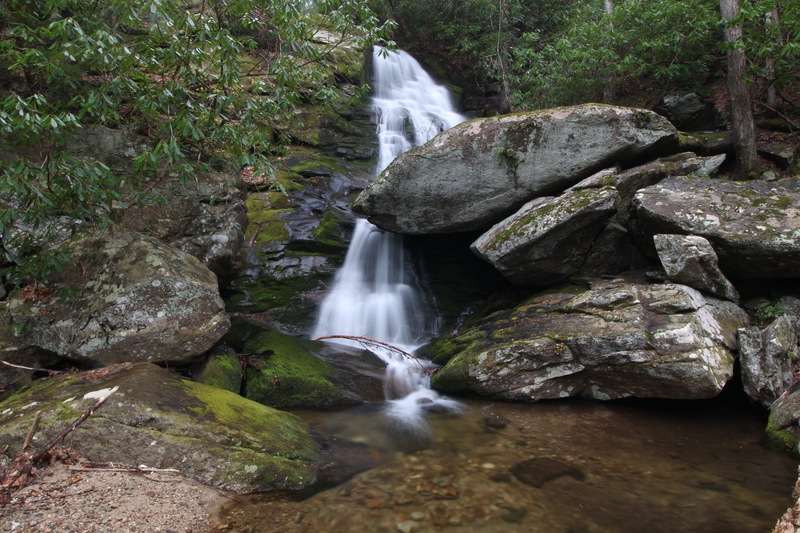 Little Lost Cove Falls are just one of numerous waterfalls accessed by FR464, or Pineola Rd. 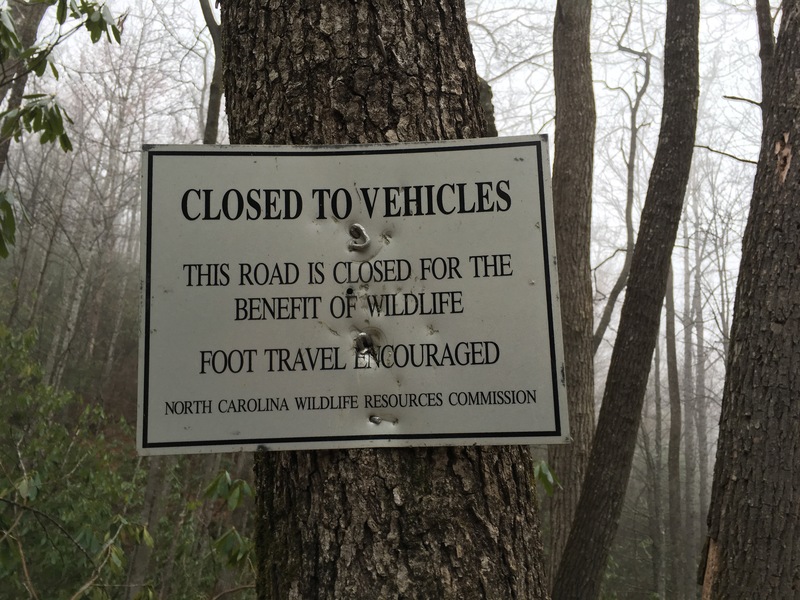 This road can be accessed from the bottom from several routes, the most popular one being Brown Mountain Beach Road, left on Edgemont Road, (both roads following a scenic drive along Wilson Creek, passing the visitor center and some primitive restrooms), then left on FR 464 or Pineola Rd. 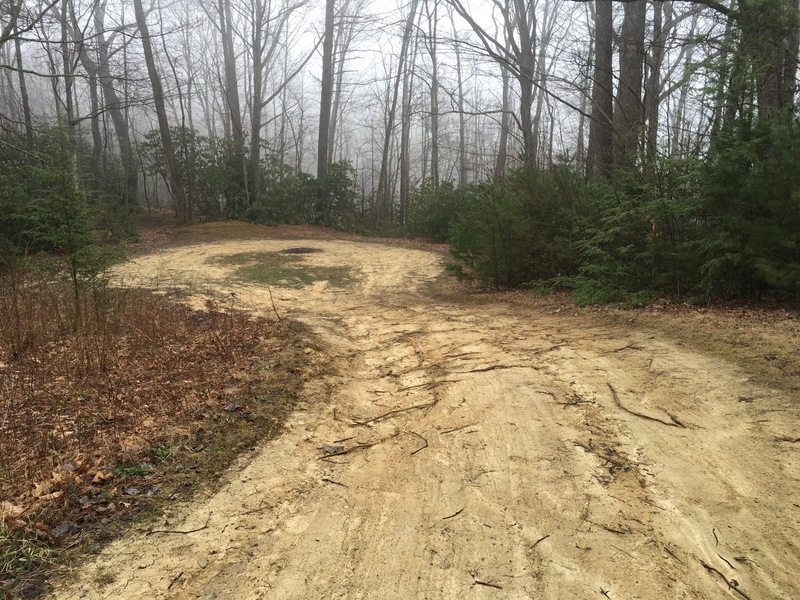 The mountain would need to be climbed on a tight, twisty road that more resembles a driveway. The easier way and quicker way is to come in from the top of the mountain. There several ways to do this as well, coming in from Old Jonas Ridge Rd from the Blue Ridge Parkway, or Mortimer Rd from NC 181. The goal either way is to find the little white church in a sharp curve. There will be a dirt road leading away on the right side of the church. 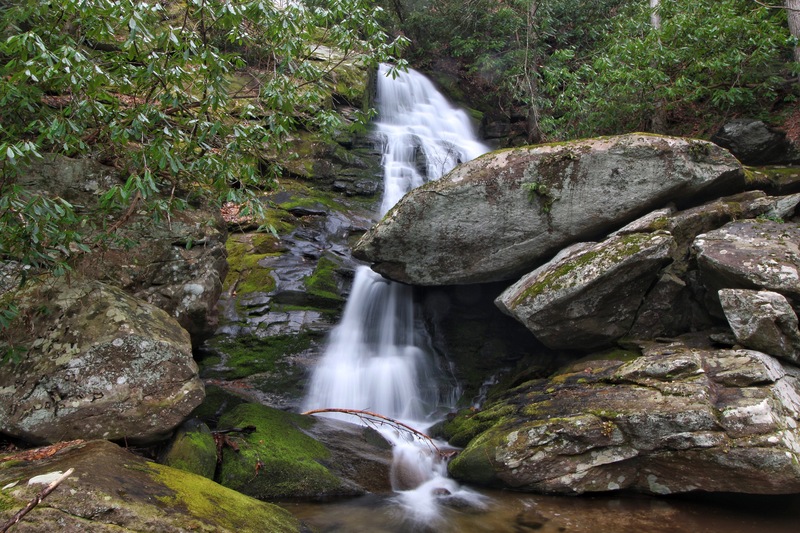 This is the way to many waterfalls including South Harper Creek Falls, North Harper Creek Falls, Huntfish Falls, Waterfall on Gragg Prong, Bard Falls, and the Little Lost Cove Creek Falls. The Big and Little Lost Cove Cliffs can also be reached from hiking trails along this twisty, narrow waterfall super highway. Once on FR464, travel 4 miles, going mainly down, passing the right turn onto FR 58 to North and South Harper Falls. Look for another forest road down on the left working its way up to FR 464. This will be FR 464A and is 0.8 miles long to the parking area. It will be a sharp left turn back on this road….just shy of a U-turn. 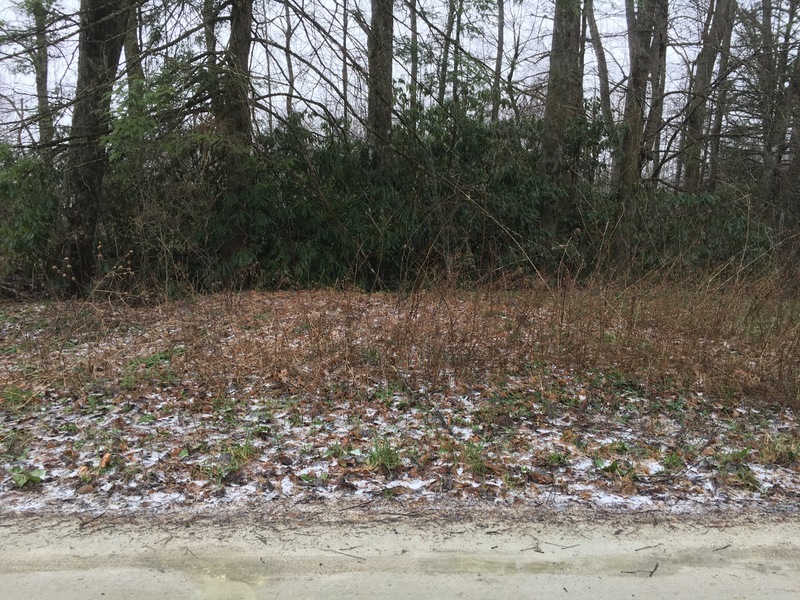 There is a slight mound at the beginning that is rough on low clearance vehicles and a creek to drive through on this 0.8 mile drive. Keep this in mind. After nearly getting stuck on this initial mound, we pulled off the side at the intersection and walked the 0.8 miles downhill to the trailhead. At the end of this short road down, there is a parking area. The trail begins on the left side and was pretty easy to follow at first…. Follow this road for about 1/2 mile, then the flagged turn off to the right, and the fun begins. The trail was pretty much straight down from this point. There were trees, rocks, and Rhodos to help on the way down. One in the group brought some rope and tied it up for assistance for a safer descent and also to help us on the return climb. Once there, the waterfall was very nice, especially for what I thought to be a fairly “low-flow” stream. After this, there was still a “Lower” section or falls to see. I thought the trip down to the others was steep. The next section really pushed the limits of what I am able to do. 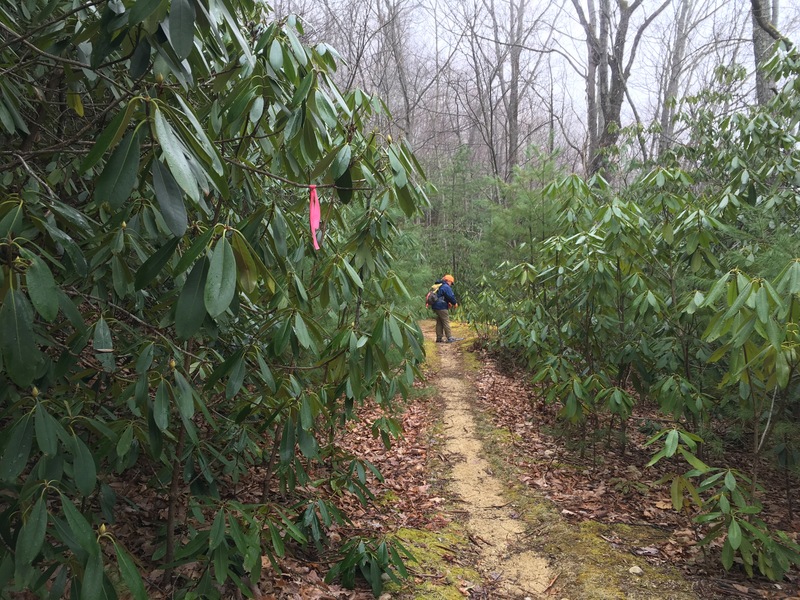 We continued following the flagging tape….which was probably a mistake…more on that later. It kept going down, while the angle of descent kept going up. We all reached a point where we just stared at each other trying to figure to best way down. 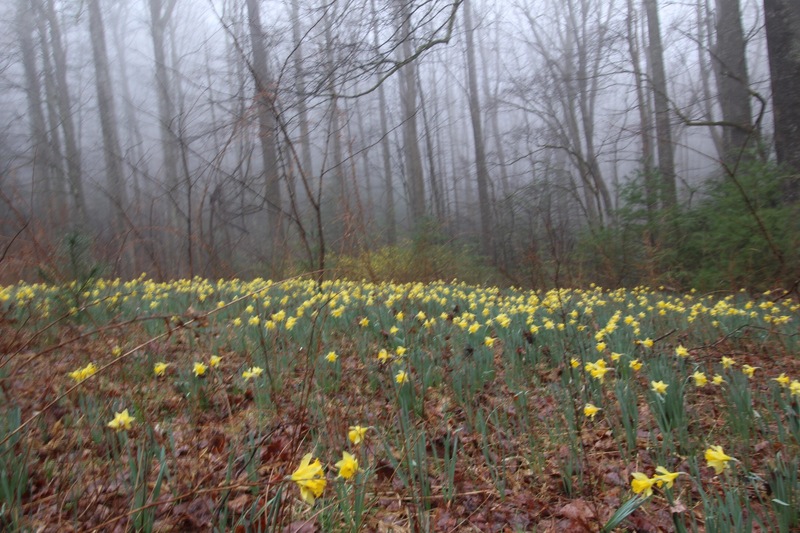 It was a cold, damp day in March and this leaf covered slope was also quite slippery. We had come way too far to even consider turning around, so I decided to sacrifice my jeans and simply sit down and try a controlled slide. It worked quite well, as I was able to keep a steady pace and even make the right curve as the trail curved around a large tree. Once down this, the lower falls was larger than the upper falls and had quite a bit of character itself. I liked them both equally I believe. The climb back up was absolutely wicked. I certainly do not recommend this for everyone. Later…I read online, that by following the creek downstream a short ways from the lowers falls, a short easy path would have brought us back to the trail we were originally on when we made the descent. Figures….although I can’t confirm this as we took the way we came and followed the flagging tape back up. 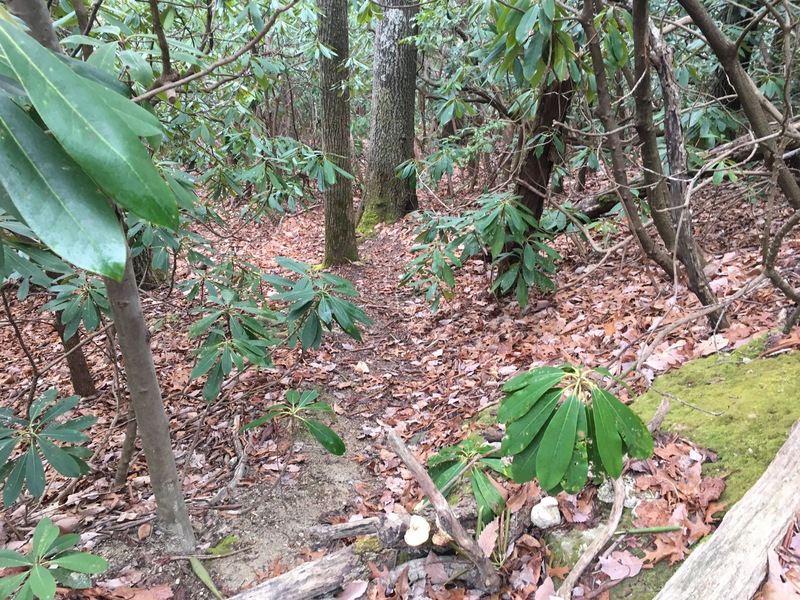 The good news is that all of this is fairly short distances and once back to the main trail, it is cake from there. We had noticed something on the way down to the falls that we wanted to check out in a little more detail on the way back up. Looking down into the woods from the road, was a large clearing. Further down in a curve was an old driveway to this clearing. This large area was surely once a large home/farm area. I love finding places like this, wondering what it must have been like a century ago…maybe longer. Normally, this must just look like a large clearing. 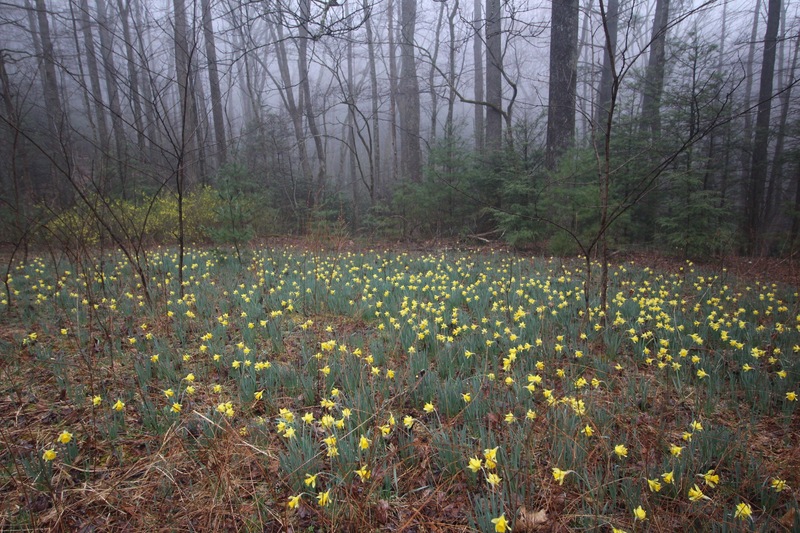 However, it was the third week of March, or daffodil season. It is that time of the year when we get one of our first true signs that winter is soon on its way out and spring is soon to follow. 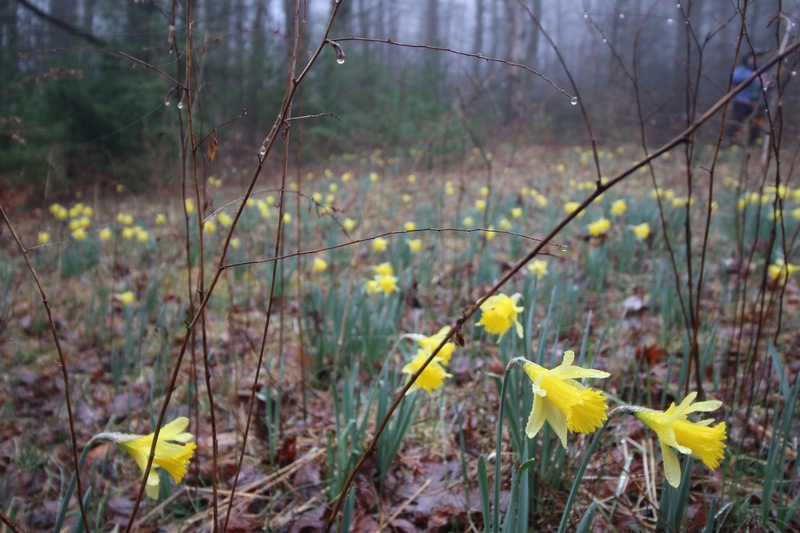 In the place where this house once stood, was now overrun by daffodils which regenerate each year with more and more flowers. What we saw on this day was absolutely beautiful. 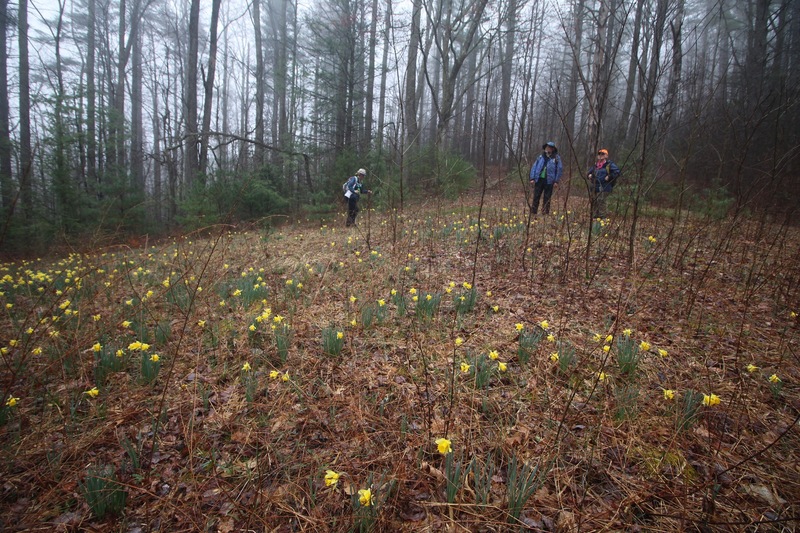 I have never made the strenuous hike into the Daffodil Flats area of the Linville Gorge, but I have to imagine that it looked something like this. This was a great find and really made this trip worth it. I would have to certainly classify these 2 waterfalls as the toughest ones to get to in the Wilson Creek Wilderness, especially if you follow the flagging tape. On the way out, the cold rain that was forecast to begin for the entire area had a surprise for us. It was still late March and old man winter wasn’t quite ready to say goodbye. 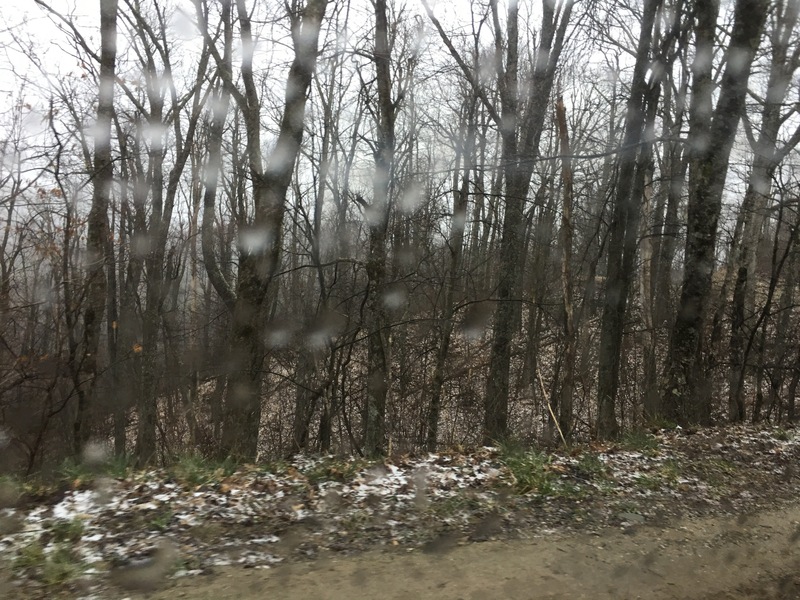 It began to sleet as we got back to the car and halfway up the dirt road, the ground was becoming white. There was no forecast for any winter weather, but we hightailed it out of there anyway. FR464 would not be a road to travel in ice or any other type of winter weather.